Nitte, Feb 17, 2017: At Nitte we believe, education is complete only when it involves the mind, body and spirit. Towards this end, Nitte has always encouraged the sporting spirit. In keeping with our aim of making education holistic, Nitte has, since the past four years, been conducting the Nitte - Mangaluru Marathon. This has become an attractive sporting event of the city in the last four years and year after year the participation has been increasing. 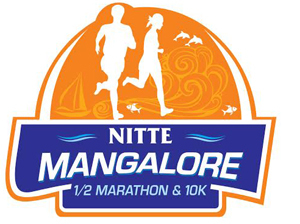 This year about 14000 people to participate in the various categories in the Nitte Mangaluru Marathon to be held on 19th February, 2017, which includes half marathon, 10km, 5km, 3km and 2 km, wherein professional runners, college students and public of all age groups will participate in the half marathon, 10km and 5 km and school children will participate in 3 kms and 2 kms. The Nitte Marathon has, as ambassadors, two sportsmen from the district, Mr Sridhar Alva who represented Indian Railways at the World Railway Athletic Meet in Decathlon and Mr. Anil Shetty, who represented India in the 4X100 meters Relay and won Gold at the SAARC games, held at Dhaka, Bangladesh. Our marathons have been conducted with organizational support from the Dakshina Kannada Athletics Association and technical assistance from Life is Calling, Bangalore.